MIAMI, FL. – November 2018 — The 6th annual ENDANGERED: Art4Apes Fine Art and Photography Exhibition, which celebrates the beauty found in endangered and threatened species, or habitats, will return to the Dade Heritage Trust from Wednesday, December 5 to Saturday, December 8, 2018. Part of Art Basel week, this exhibition features a series of special programs including classes, live paintings, and discussions, as well as a showcase of the finest work entered in the contest. Proceeds from the contest and exhibition benefit the Center for Great Apes, an award-winning, Florida-based, 501(c)(3) registered sanctuary for orangutans and chimpanzees. ENDANGERED: Art4Apes was launched in 2012 to raise awareness of issues facing animals and the environment. Each submission reflects the interpretation of “endangered,” as it applies to animals, nature, the environment, and plant species, in three artistic categories: Fine Art, including sculpture, jewelry, and wearable art; Photography; and a special category exclusively for young artists. All entry fees for the contest and the proceeds from art sales during the exhibition go to the Center for Great Apes, a 4 Star Charity Navigator rated non-profit, sanctuary for orangutans and chimpanzees. The Center for Great Apes is an extraordinary facility located in Wauchula, Florida whose mission is to provide a permanent sanctuary for orangutans and chimpanzees who have been rescued or retired from the entertainment industry, research, or the exotic pet trade. The sanctuary encompasses over 100 acres and is home to 21 orangutans and 28 chimpanzees. Because of the generosity of artists, sponsors, and patrons that participate in the ENDANGERED: Art4Apes Fine Art and Photography Contest exhibition, the Center’s residents can continue to live and thrive with dignity in a safe, and enriching environment. During Art Basel Week, ENDANGERED: Art4Apes Fine Art and Photography Exhibition will host a series of special events. The exhibition, which opens to the public at 2:00 P.M. on Wednesday, December 5, 2018, will include live painting programs by Karen Kliethermes, a Colorado-based visionary artist, illustrator and instructor; a photography masterclass, taught by Ted Schiffman, a student of Ansel Adams, National Geographic photographer and author; and, panel discussions with artists and photographers on capturing wildlife in photos and paintings. The final day of the exhibition, Saturday, December 8, 2018, will include special programs for young artists, including an art class with Karen Kliethermes and a visual photographic safari, led by Ted Schiffman. A cocktail reception will take place each evening of the exhibition. The ENDANGERED: Art4Apes Fine Art and Photography Contest Exhibition will be held at Dade Heritage Trust Headquarters located in the Brickell area at 190 SE 12th Terrace, Miami, FL 33131. A full schedule of events can be found at http://www.Art4Apes.com. Guests to the Ted Schiffman workshops should R.S.V.P. to Lindsey@Art4Apes.com as seating is limited for these events. For more information about The ENDANGERED: Art4Apes Fine Art and Photography Exhibition, please visit https://www.Art4Apes.com. The ENDANGERED: Art4Apes Fine Art and Photography Contest, was launched in 2012 to raise awareness of issues facing animals and the environment. The contest receives entries from all over the world. Entry fees and proceeds support the Center for Great Apes, a 501(c)(3) registered non-profit sanctuary for orangutans and chimpanzees. 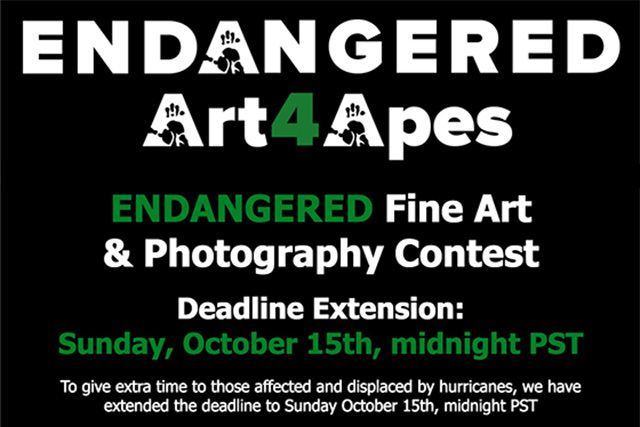 For more information about the ENDANGERED: Art4Apes Art & Photography Contest and Exhibition visit https://www.Art4Apes.com. 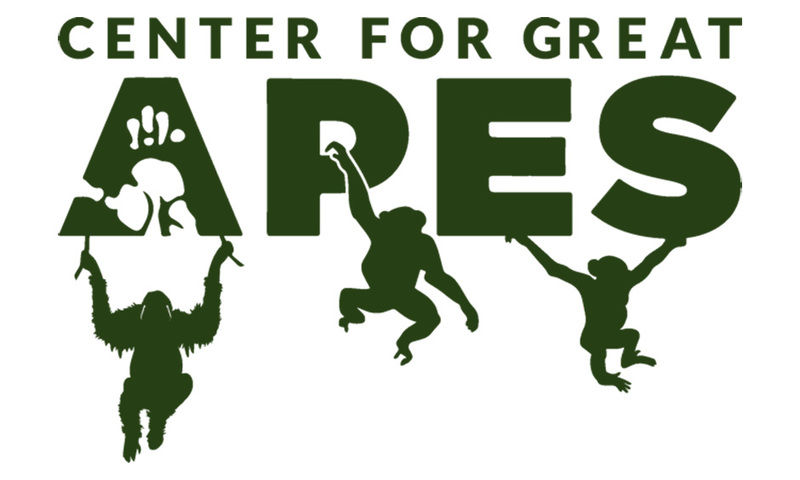 The Center for Great Apes is a 501(c)(3) registered non-profit sanctuary for orangutans and chimpanzees. The Center for Great Apes’ mission is to provide a permanent sanctuary for orangutans and chimpanzees who have been rescued or retired from the entertainment industry, from research, or who are no longer wanted as pets. The Center provides care with dignity in a safe, healthy, and enriching environment for great apes in need of lifetime care. It is the only orangutan sanctuary in North America and one of the leading chimpanzee sanctuaries in the world. The Center receives no government funding and relies on memberships, donations, private grants and fundraising efforts to support this vital work. For more information please visit www.CenterForGreatApes.org. The 2018 ENDANGERED Fine Art & Photography Exhibition, being held from 5-8th December at the Dade Heritage Trust, 190 SE 12th Terrace, Miami, FL 33131 features work by leading wildlife and nature artists and photographers. We have an amazing line-up of artists and photographers providing a program of special events - some of whom we’ll be featuring on the blog over the next few weeks. Ted Schiffman has been a photographer for 46 years. He developed an interest and direction in color photography as a natural outlet for his many years of training and study as an artist. In addition to having an artist's eye for balance and composition, he is a fastidious and skillful color darkroom craftsman. Embracing the digital world, his images reflect the medium’s unique improvements. Ted Schiffman believes that "the complete photographer should see his work through to the end, from taking the image to making the print." He adheres to the philosophy of Ansel Adams, with whom he studied: "If creating the photograph is the composition, then producing the print is its performance." His entire collection of images illustrates not only his fine artistic and photographic abilities, but also a love and respect for the inherent beauty of Nature's many subjects. Committed to revealing this beauty, not creating it, he avoids the photographer's prerogative of technical distortion, either in the field, the darkroom or with a computer. Often seen as a purist, he simply chooses to maintain the photograph's integrity by always keeping it tethered to reality. With an eye attuned to the subjects, forms, textures, colors, and moods of Nature, Ted Schiffman has produced a portfolio of photographs everyone can appreciate. His forte is the intimate, the close, the real---images that feast the eye and excite the imagination---personal images in familiar, recognizable forms. His repertoire of wildlife images exemplify a captivating and emotional connection made with the subject's soul. In his travels, searching for images, he has captured on film the diversity and magnificence of the flora and fauna found in many remote regions of the world, from the Dead Sea to the summit of Mt. Kilimanjaro. Among his many accomplishments, he has participated in, photographed, and published work about wildlife research on endangered animal species. These species include the California condor, the Florida panther, the peregrine falcon, and the lemurs of Madagascar. In addition, he has lectured at the American Museum of Natural History on the challenges facing the wildlife photographer while on assignment. His photographs have been published worldwide by The National Geographic Society, The United States Department of the Interior, The World Wildlife Fund, The Smithsonian Institution, The American Museum of Natural History, encyclopedias Americana and Britannica, The Sierra Club, GEO, Vogue, and Adventure Travel, among many others. He has published a book on photographic techniques in the wilderness, entitled “A Guide to Backpacking Photography,” and “Treefrogs...prehistoric survivors with a global message,” about our North American neighbors in great danger, released in 2010. He has additionally authored 15 wildlife photography and coloring books. His photographic stories on polar bears, bald eagles, and wolves have been published in many newspapers. For more than 20 years, Ted and escorted wildlife photographic safaris to Africa for the general and advanced photographic public. He has exhibited at numerous galleries, institutions, and universities, including The American Museum of Natural History. His prints are collected privately and by institutions and corporations throughout the United States and Europe. He received his M.A. from Adelphi University in 1968. We are pleased to announce the jury panel for this year’s contest. We take immense pride in our expert panels which always feature artistic talent, photography expertise and a knowledge and love of animals and the environment. Our judges command respect both nationally and internationally. Rickie Leiter, Publisher of The Rickie Report. DEADLINE FOR SUBMISSIONS IS 23RD SEPTEMBER, 2018 - ENTER NOW! Celebration of the beauty of endangered or threatened species/habitats or Illustration of the threats facing endangered species/habitats. For Fine Art and Fine Art Photography categories enter 1 or 2 artworks accompanied by a donation of $35 that goes directly to the Center for Great Apes. There is no limit on the number of entries you may make. Cash prizes totaling $3,250 will be awarded in both categories. Young Artists with birthdays on or after October 1st, 1999 may enter one piece of art or photography with a donation of $5 USD per piece that goes directly to the Center for Great Apes. There is no limit on the number of entries you may make. Cash prizes totaling $500 USD will be awarded in the Young Artists Contest. We will accept individual or class/group entries. Educators wishing to enter their students’ work should email Lindsey@Art4Apes.com for information on assistance and discounts for class entries. Please see the full Terms and Conditions for the specifics on how the contest will be run. You will find the Terms and Conditions in full on our website. We run this contest to benefit the Center for Great Apes, a Florida based 501(c)(3) registered sanctuary for abused and neglected orangutans and chimpanzees. Congratulations to Joseph Anthony, Hong Kong based environmental and wildlife photographer on his Commended Award in the Sony World Photography Organisation competition for “A New Beginning”. This amazing image was judged to be in the top 0.1% of the 320,000 submissions worldwide. Anthony’s work has been published in National Geographic and we were delighted to feature two of his beautiful photographs in the ENDANGERED 2017 exhibition. Anthony has recently been in Hawaii documenting the volcanic eruption of Kilauea and taking part in human and animal rescue, it "was the most incredible and challenging 8 weeks photographic and videographic adventure of my life covering what has become the most historic, unprecedented and epic eruption of our lifetime where I told all manner of lava, human and animal impact stories starting with my being staked out in an abandoned house in a war zone like environment for the first 2-3 weeks as active fissures erupted around me right on the doorstep. 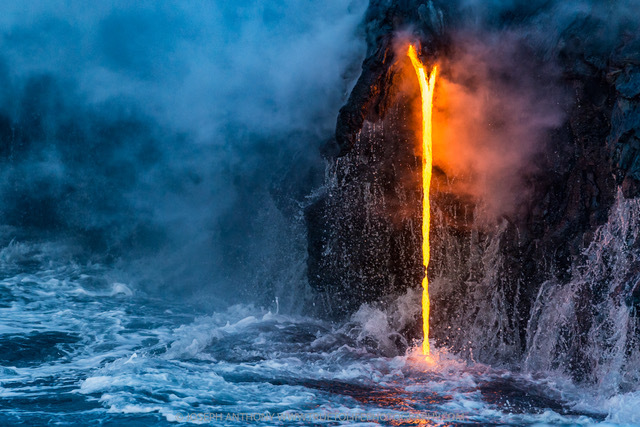 Constant earthquakes, violent eruptions, shockwaves from the sound of the explosions keeping me awake the whole time while capturing the ever changing events as lava kept appearing all around. " Please enter the ENDANGERED Fine Art and Photography Contest 2017. Cash prizes and places in our exhibition in Miami during Art Week. For contest rules see https://buff.ly/2ga67Rk and to enter see https://buff.ly/2ga4N0F. 100% of the entry fee goes directly to the Center for Great Apes. The Center offers lifetime care to orangutans and chimpanzees in need and needs help after hurricane Irma.